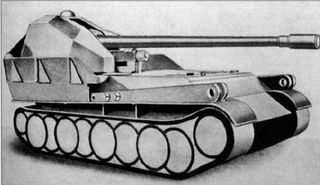 Developed by the Krupp company in 1943 and 1944. A scale model of the artillery was built, but no full-size prototypes were ever produced. This page was last modified on 23 August 2014, at 03:24.